Welcome to Framed in Time! 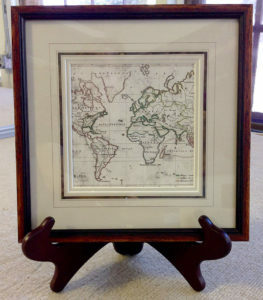 We are a full-service wholesale & and retail picture framing company dedicated to uncompromising quality, service and value. Our skilled staff is comprised of artists, printing professionals, masterful framers and craftsmen and design consultants, compiling over 200 years of experience between us. ALL WORK IS DONE ON THE PREMISES within our 6,000 square foot warehouse in the historic Saxonville Mill Building. We have the largest selection of in-stock custom framing materials in the Metro west area and pride ourselves on using only acid free archival materials and. Options for every Budget. We have a huge selection of frames to fit your needs and various pricing structures to fit most every budget. This allows us to give the most competitive quotes and quickest delivery time to every one of our customers. We also have one of the biggest selections of custom and pre-made mirrors. Broadest selection of wood and metal frames. 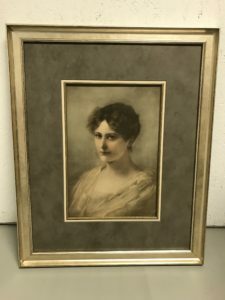 Framed in Time carries mouldings for framing from multiple reknown manufacturers; Larsen Juhl, Roma, Fotiou, Nurre Caxton, AMPF, Décor, Omega, Picture Woods, Presto, Nielsen, and others. Whether you are seeking for a gold leaf museum quality presentation, a rustic distressed / barn wood look, an eye catching bright color or a simple metal frame, we have a huge selection of many styles. We also carry over 100 types of wood fillets, dozens of floater frames for stretched canvases, extra deep frames for shadowboxes and a selection of frames already made up in standard sizes with glass or mats. Museum Quality Framing means using the highest quality framing materials such as acid free mat boards (including paper, cotton rag, linen and texture mats) We also incorporate easily removable linen tape, plastic corners, museum quality glass that contains UV sun protection, fabric wrapped liners and other archival materials to ensure long lasting preservation and optimal aesthetics for your artwork.